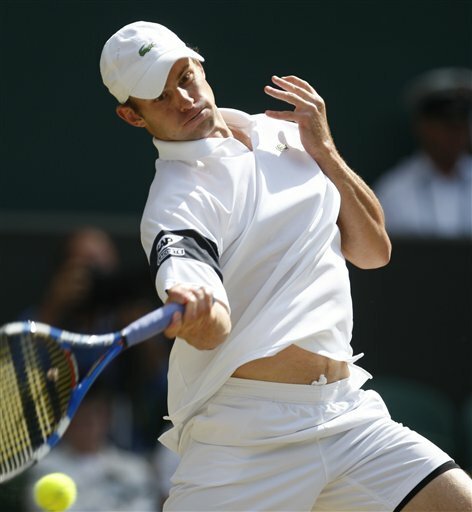 Andy Roddick made it to the Wimbledon final, disposing of Andy Murray in 4 sets. He looked good out there. Watching tennis always gets me psyched to get out on the courts. These days I play a lot with my wife. Manhattan does not exactly encourage the sport of tennis. You have to go out of your way to play. First of all, you have to pay ($7 for a one-time permit, $100 for a season permit). And usually you have to wait over an hour for an open court. It's a little frustrating for tennis fans. But last year we started playing with friends in Astoria Park. It's only 30 minutes by subway from our apartment, and it's far less crowded than the Manhattan courts. Perfect if you're looking for a nice tennis buzz in the city. i'm really sad for roddick. i wanted him to win. he did so well too! so that was extra sad. but i like federer.